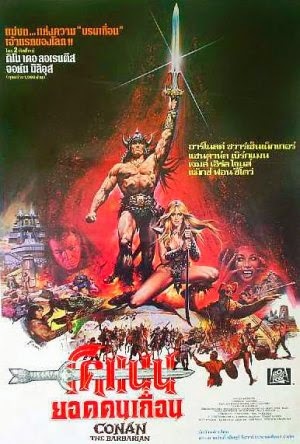 CONAN THE BARBARIAN (1982) is one of the iconic examples of fantastic cinema. Regardless of how faithful, or unfaithful it is to its source material, it encouraged many fans to look further into the character than likely would have done if the film hadn't been made at all. Its theatrical success led the charge for an army of village pillaging, head-cleaving clones both domestically and abroad of wildly varying quality. And just as Conan's cinematic journey for revenge was a long and arduous one, the road to getting the film started was just as extensive. 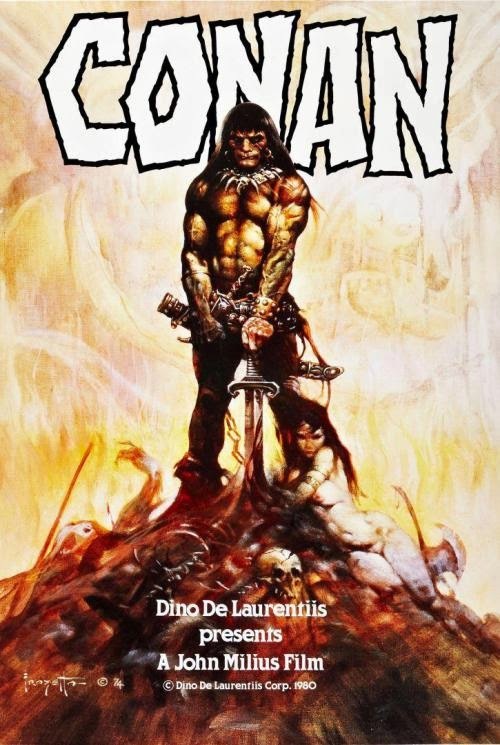 The notion of turning Conan into a movie began as early as 1970 when SciFi-Fantasy writer Lin Carter was in talks with Milton Subotsky to mount the production. 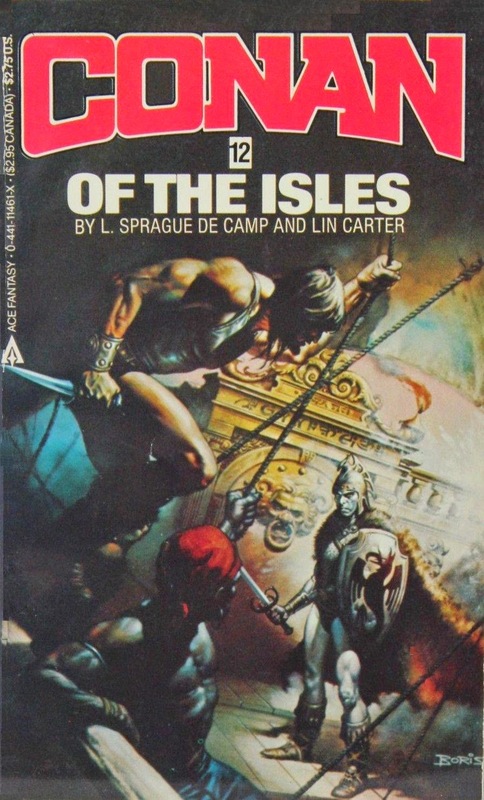 Carter was one of the authors who finished some of Howard's incomplete Conan stories, and had his own Conan-type mythology with his series of Thongor novels. Incidentally, Milton Subotsky attempted to get a Thongor movie off the ground in the late 1970s, but this never came to fruition (but that is another story!). Edward R. Pressman eventually obtained the rights to the property, which was a tangled tale all by itself. 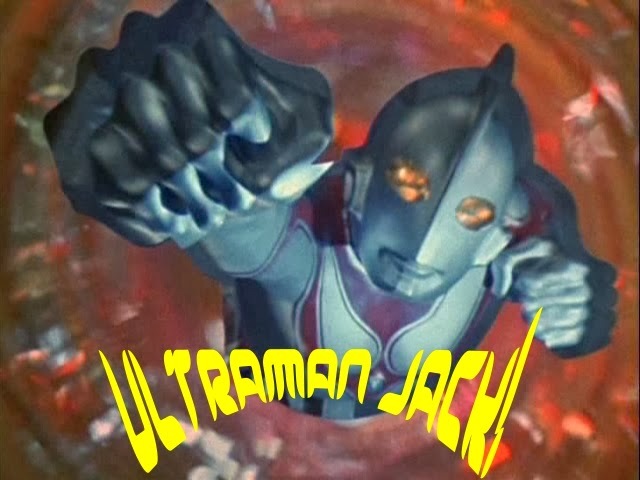 Associate producer Ed Summer had brought the character to Pressman's attention in 1975, but till the license was secured, none of the original source materials could be used. Till then, Summer wrote an initial screenplay intended to take place after the proposed first movie. Since Conan's novels had been out of print for so long (the original publisher Lancer went out of business; another controversial story), and since unfinished Conan tales written by Robert E. Howard were completed, and or rewritten by others (not to mention non-Conan stories turned into Conan stories), it would take time getting clearance for the use of the character. 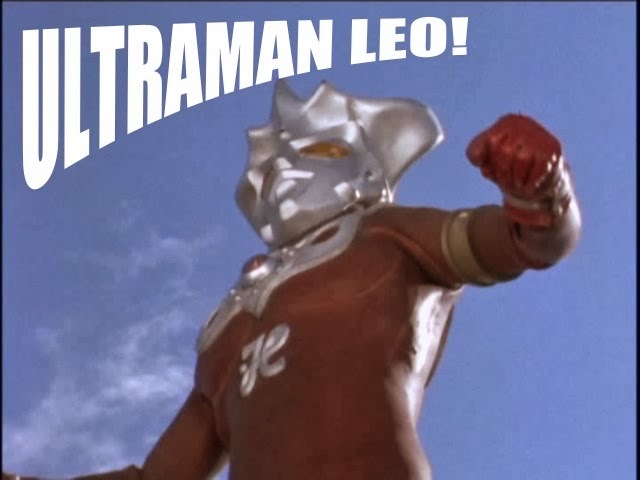 It took Summer and executive producer Pressman two years to secure the property. With a script written, the search for a director began. 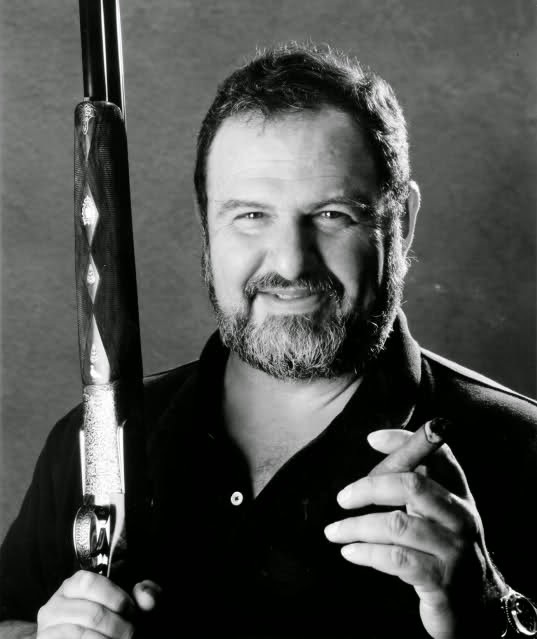 John Milius was eyed by the producers from the beginning. At the time, Milius was involved in other projects so the search continued. When the picture fell into the hands of Oliver Stone (Oscar winner for his MIDNIGHT EXPRESS script) in 1978, Summer's script was out and Stone wrote his own. The award winning director proceeded to document an incredibly off the wall storyline crammed with mutants, monsters, mass battle scenes, a love triangle, and a PLANET OF THE APES type world where modern civilization has regressed to a barbarian dystopia. The budget for CONAN was originally allotted at $2 1/2 million dollars, but Stone's chaotic vision (melding two Howard stories, 'Black Colossus' and 'A Witch Shall Be Born') was so ambitious in scope the amount of money needed had ballooned to an unmanageable $40 million. Feeling more like an overblown version of one of the many Italian CONAN clones, studios showed no interest in it. But the producers pressed on. Obtaining financing with Stone attached as director was unlikely. Ridley Scott, fresh off his success with ALIEN (1979) was one of the directors that ultimately passed on the picture. Other names considered but dropped were Joe Alves (reportedly to have co-directed with Stone), Ralph Bakshi (FIRE & ICE), and John Frankenheimer (THE MANCHURIAN CANDIDATE). Considering the very nature of Conan was a match made in Milius heaven, it didn't take a seer to foresee that the property would find its way back into his hands. At this time, Milius was in pre-production on 'Half of the Sky', a Dino De Laurentiis picture described as a "mountain man movie". Once the door for CONAN was open again, Milius stepped inside and left the mountain men out in the cold. 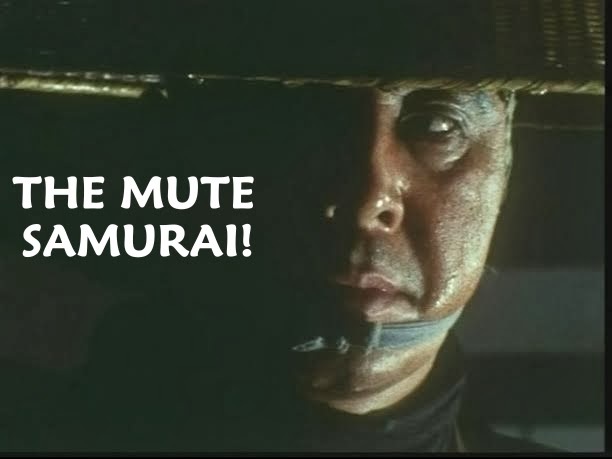 He retained a few items from Stone's nutty script like the villain Thulsa Doom (the main adversary in Howard's Kull stories), and the wolf witch; and brought the budget down to a far more manageable $19 million (some sources list the budget at $17.5 million; and not counting the estimated 10-12 million for advertising). Over the course of three drafts, Milius expanded on Thulsa Doom's character; jettisoning the demonic, transforming monstrosity of Stone's version, turning him into a supernatural Jim Jones messiah in the form of James Earl Jones. 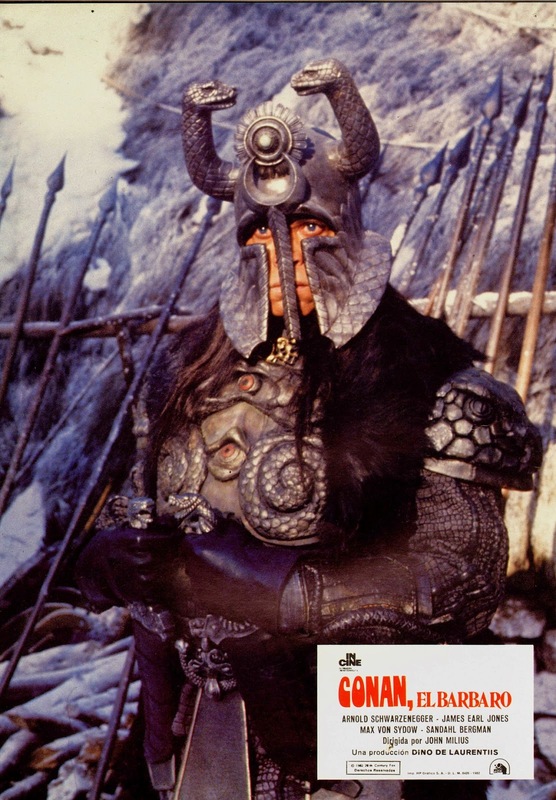 Milius gave Conan an origin story -- something Howard didn't technically do, but did include fragmented anecdotes of Conan's past scattered throughout the various stories. Virtually all the nightmarish imagery of Stone's version was gutted (the cannibalism was left intact, though), and the futuristic element eliminated altogether. Roy Thomas, one of the most famous writers associated with the Conan comics, was brought in as a consultant to Milius. Thomas submitted some additions, but according to him, little of his input remained. In other sources, Summer states that he and Thomas wrote the original screenplay together till the rights were squared away. Thomas did work on the sequel, CONAN THE DESTROYER (1984). Roy Thomas wasn't the only Conan artist to want to be a part of the Hollywood version of Howard's creation. Another well known artist, Neal Adams, reached out to the producers before filming began in the hopes of working on the feature. Proclaiming to have gotten a constant runaround from various assistants working on CONAN THE BARBARIAN, Adams decided to forge ahead and do storyboards on spec in the hopes the higher ups would add him to the crew. He drew up an entire opening sequence "similar, in some ways, to the James Bond films" that showcased a Conan who was already of age. 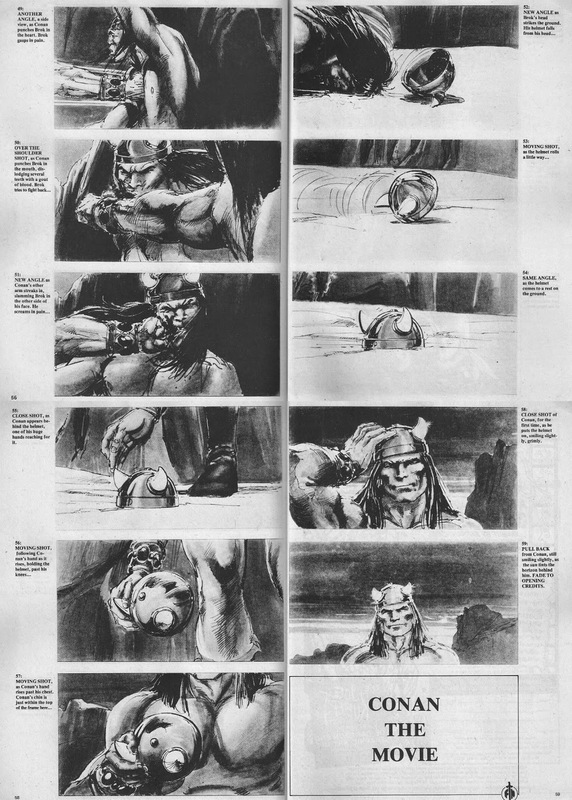 Neal Adams never became a part of the production, but in the January 1981 issue of Savage Sword of Conan the Barbarian, his storyboards were printed (59 of them) for the readers to see what he envisioned. Arnold Schwarzenegger had been signed on in the early stages, even though he wasn't always the only actor considered for the title role. Charles Bronson and Sylvester Stallone were two names being bandied about to play the Cimmerian. One of the Toughest Tough Guys on the planet, William Smith, was said to have been considered for the lead, although he did end up playing Conan's father. Some other names passed around for other roles were Raquel Welch as Valeria; and Sean Connery as Thulsa Doom! Pressman met with the Austrian bodybuilding champion in 1977 and ingratiated his project to him. 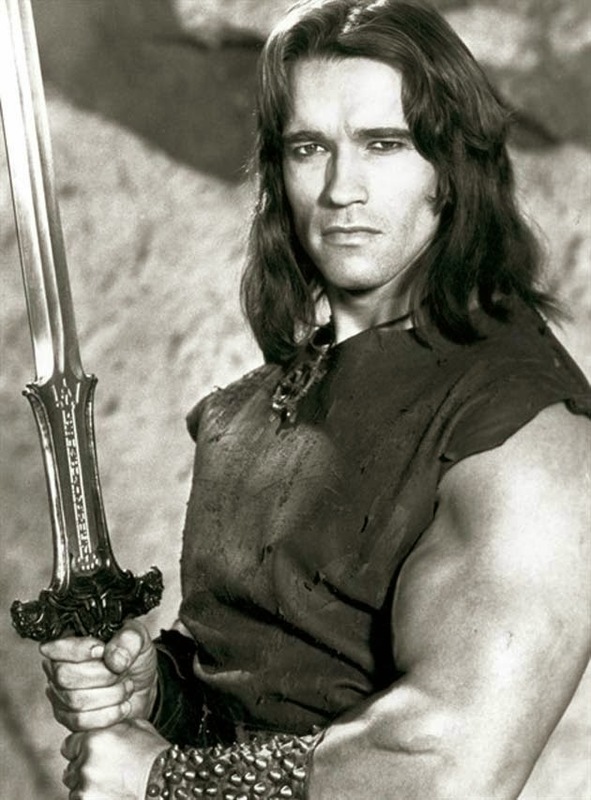 Excited at the proposition of bringing this famed character to life, Schwarzenegger stated he was signed to headline a total of five CONAN films. He began training for the role in 1978. Schwarzenegger stated in interviews at the time he dropped his weight down from 240 to 210 (some sources state 250 to 228) in preparation. However, roadblocks impeded the production from officially starting in 1979 -- mostly due to finding proper locations. 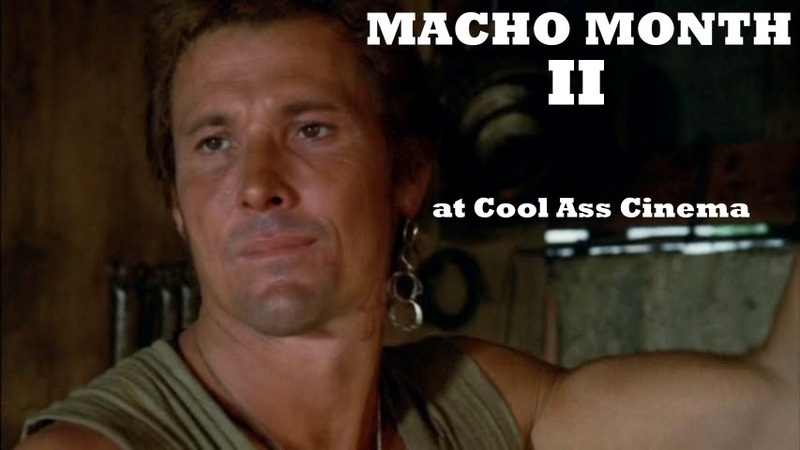 For Schwarzenegger and his co-stars, this wasn't a case where you showed up and jumped into character. They had to become those characters, get comfortable in their skin. An intense regimen of exercise, martial arts training, and horse riding was required. Both established martial artist Kiyoshi Yamasaki and John Milius himself got his trio of stars into the right frame of mind to perform their roles. 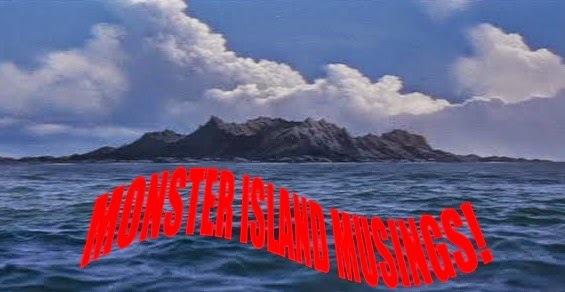 Injuries were commonplace -- Sandahl Bergman nearly lost a finger; Schwarzenegger nearly lost his head in a fight scene, was thrown from a camel, and smashed his head on a rock while jumping in a lake. The trio of thieves had their own stunt doubles, but according to Bergman, "we really didn't use them". 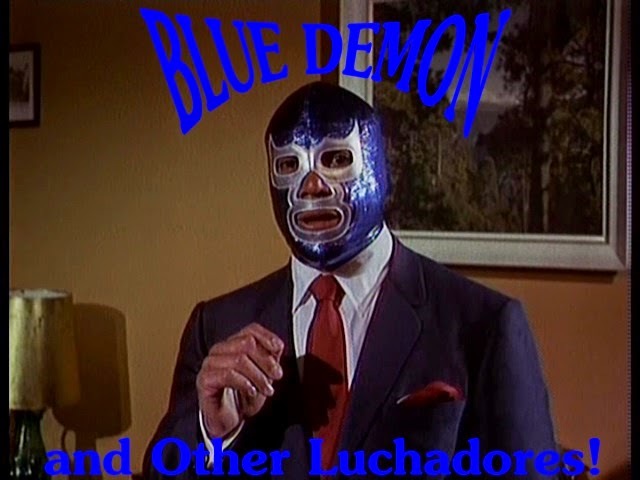 Her stand-in is pictured above. The strenuous, and often dangerously hard work paid off in virtually every frame. After numerous set backs and false starts, the film did finally go before the cameras on January 7th, 1981. 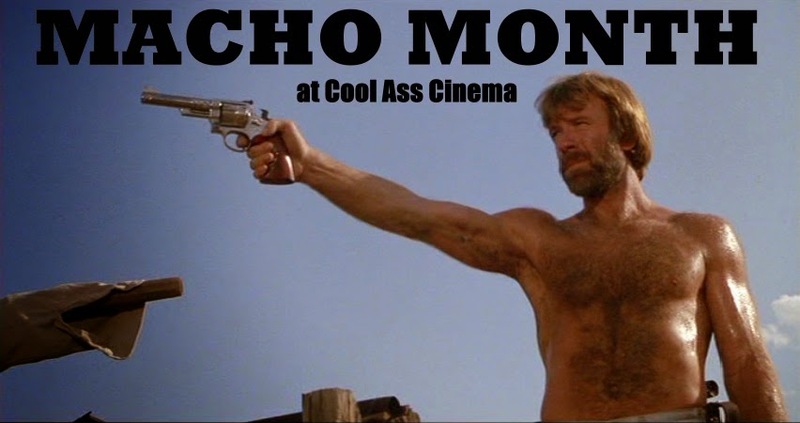 Slated to open in December of 1981, the film was reportedly delayed simply because it wasn't ready for release, although mentions of the films violent content was rumored to have been problematic. Just prior to its release, a rough cut running approximately 2 hours and 45 minutes was shown in the fall of '81. This was possibly the only time the film was ever seen with all the gory sequences intact before they were either toned down (the Pit Fighter sequence initially ran for six minutes! ), or discarded. The release date was moved around a few times before CONAN THE BARBARIAN settled into its May, 1982 slot. The rest is history. The success of the Conan film wouldn't be possible without the written word of Robert E. Howard and the dark fantasy of Frank Frazetta's magnificent artwork. 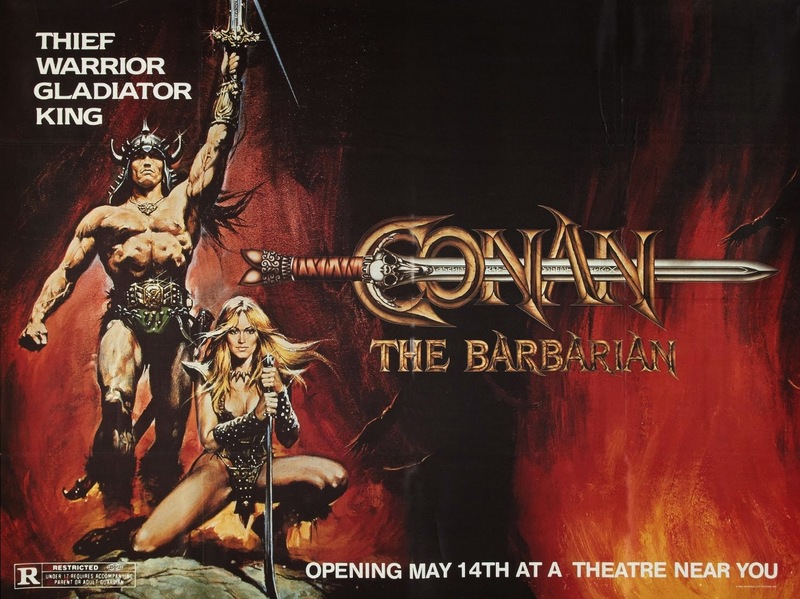 As for the film, Without John Milius, production designer Ron Cobb, Arnold Schwarzenegger, and others, CONAN THE BARBARIAN (1982) might of turned out a very different film than the influential mammoth of macho movies it became. Next time, we'll take a look at the unmade Thongor movie in a companion piece article.